The Power Drive is a self-contained light that claims 300 lumens. It uses a Cree XPG emitter that is housed in an all aluminum case for heat dissipation. The battery is a standard lithium cell that can be replaced on the trail. The rear of the light unscrews easily much like a traditional flashlight and the battery can be replaced with a fresh one for longer run time. Mini Drive – $70 at 150 lumens claimed output. The Power Drive is in the line for the buyer who really wants to insist on a light that is under a $100. It is a good light but it it is overshadowed by the Super Drive that is 50% brighter but is only 22% more expensive. But since they use the same battery, the Power Drive gets more run time at 2 hours instead of 1.5. Although this is Lezyne’s first effort in lights, they have invested significant time and money to research the competition and their own lights. They’ve purchased their own integrating sphere to measure actual lumens output. With advanced tools, they’re able to control and publish how their lights behave over the whole battery cycle. They’re also able to analyze losses in lens and reflector designs. These lights are charged via USB and there is no USB charger included. It is assumed that you have a charger or computer somewhere in the household. If you need one, a separate charger is available for $20. Something interesting about the Super Drive and other Lezyne lights is there is no tiny indicator lamp for charging status or light switch illumination. It uses the actual LED as an indicator by flashing it very faintly to indicate that the light is charging. 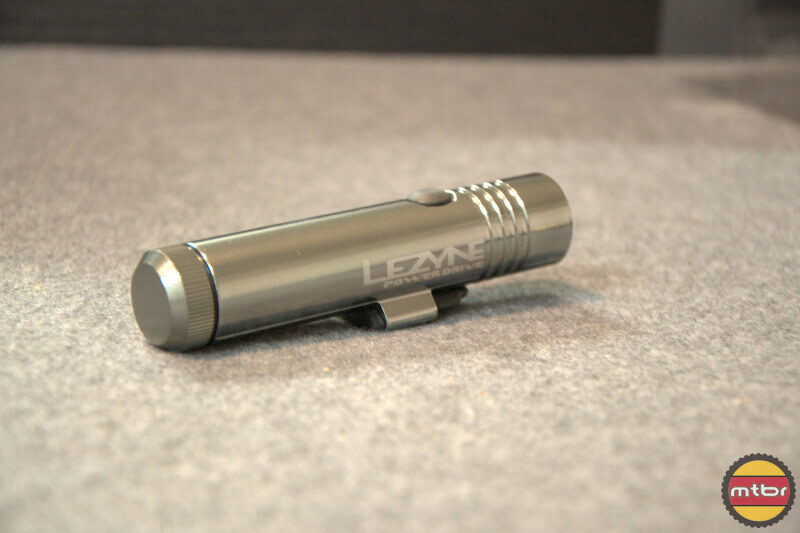 This shows Lezyne’s focus on keeping the light as simple as possible and hitting the $90 retail price point. Packaging is minimalist as well with a small, disposable plastic case much like the one used in low-cost tail lights. There is no carrying case, big manuals, extras. You get the necessities, move on and save money. The instructions are pretty basic as you can see here https://lezyne.com/wdownloads/manuals/1_HT_LED_USER_GUIDE_V1_R1.pdf. The light head itself has a lip on the top rim and that’s actually useful to keep the bright light away from the rider’s eyes during out of the saddle efforts. We love light’s with wide beam patterns but a downside is when you climb out of the saddle, you get way up front and the light can shine on your eyes a bit. The lip found on this light blocks some of that light spill at the top. The light switch is a bit quirky and non-intuitive. We all know how to turn a flashlight on and off. Some companies have deviced in protection for accidental turn-ons for self-contained lights (in the bike bag) by implementing a double-click on or 2-second button press to turn on. Lezyne has gone further by putting more light logic feedback on it. When you press the button, it will turn low instantly. After one second of button press, it will turn to medium indicating it’s ready to be released. When you release the button, it turns to high. When turning off, a similar logic is applied. It doesn’t make sense to the newbie until someone explains it to them. After that, it’s easy enough to do but it does our brains process what’s going on every time we turned the light on and off. We believe that’s overkill and non-intuitive. And they should have spent more time in the instructions explaining the light switch operation and the logic behind it. But, it’s a pretty minor complaint as the switch action and quality is excellent. At the end of the day, one has to hold the light switch for two seconds to turn on and off. The mount is pretty simple hoop style with a plastic tightening knob for tool less mounting on to the handlebar. The light can be aimed left to right with indexed positions on the mount positions. There are two mounts in the package to accomodate the standard and oversized handlebar diameter. Helmet mounting is not available at this point but with any helmet mount from other manufacturers that simulates a handlebar pipe on to the helmet, the Lezyne mount will work for helmet use.